Thank you! These look fun! So cute! Thanks for making some different shapes for these too, love them! 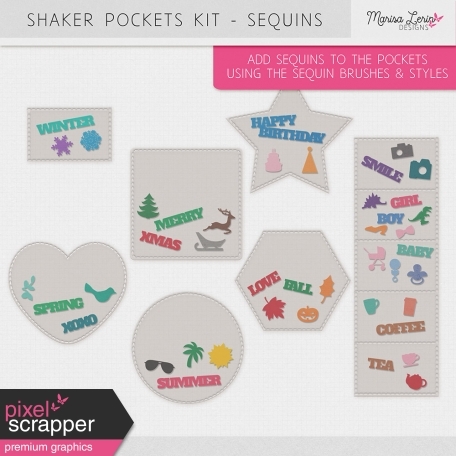 Includes "empty" pockets and shape brushes and styles for making your own sequins to include.